One impact of the addiction epidemic has been a skyrocketing rise in newborns experiencing withdrawal after being exposed to opioids in the womb. 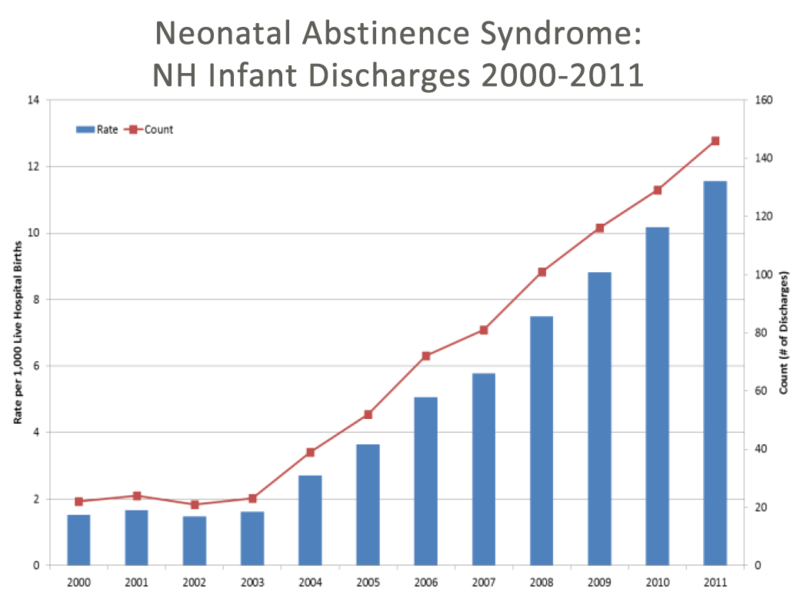 From 2006 to 2011, the number of newborns in withdrawal more than doubled in New Hampshire, and hospitals say the problem is only getting worse. Rick Ganley visits Concord Hospital to learn about care for opioid-exposed babies in withdrawal. At Concord Hospital, caregivers are working with these families, and trying to ease the transition into life for these little ones. Barbara Pascoe and Tena Ferenczhalmy at Concord Hospital. On a tour of the Family Place, the maternity center at Concord Hospital, center director Barbara Pascoe can’t resist picking up one of the newest arrivals. “I think what’s so incredible is you think of a year in adult life and you really don’t change much. And then you think of a year in a newborn’s life. It’s phenomenal. Days, hours. It’s just incredible,” Pascoe says. Pascoe has been working with colleagues here at the hospital on how to make the transition to life easier for babies born with neonatal abstinence syndrome, or NAS. “One of the things we have for NAS babies is…they look like caterpillars," describing a Woombie. "We pop them in and it helps them self soothe." Last year, 56 infants exposed to opioids were born here; and so far this year, there have been 26. “Ten years ago, if we had one or two of these children in a year, it was a very big deal for the staff,” Pascoe says. The withdrawal process that can be traumatic for babies; they cry inconsolably and often can’t sleep. As the hospital saw more of these babies, the staff started experimenting with ways to soothe them. 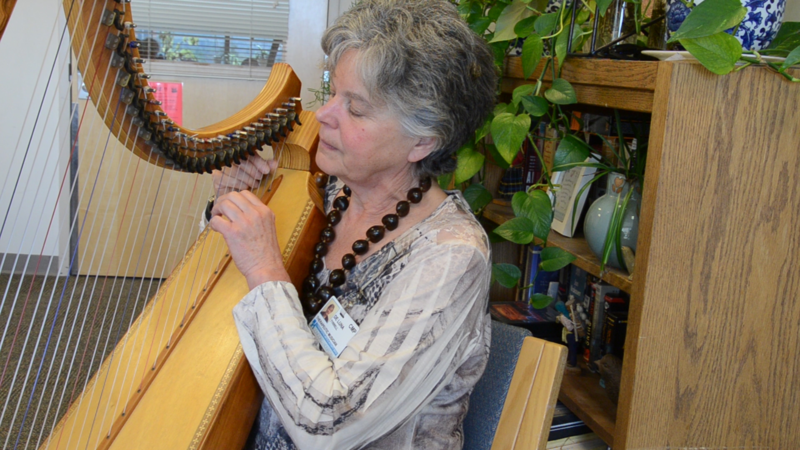 Pam Tyrrell is a certified music practitioner in the hospital’s therapeutic arts department. She performs under the name DeLuna, and plays the harp for NAS babies and their families as part of its music therapy program. For these babies, she starts with something slow and calming. “And then if it seems the baby is comfortable with that, I may pick it up to more of a heart rate rhythm because babies’ hearts are so fast, so I may pick it up," she says. And babies may hear something different, like a Native American flute played by Amy Sarasvati, another certified music practitioner at the hospital. The hospital has also been offering Reiki and aromatherapy, delivered through oils with scents like peppermint and ginger soaked into cotton balls; babies, they tell me, are particularly fond of lavender. 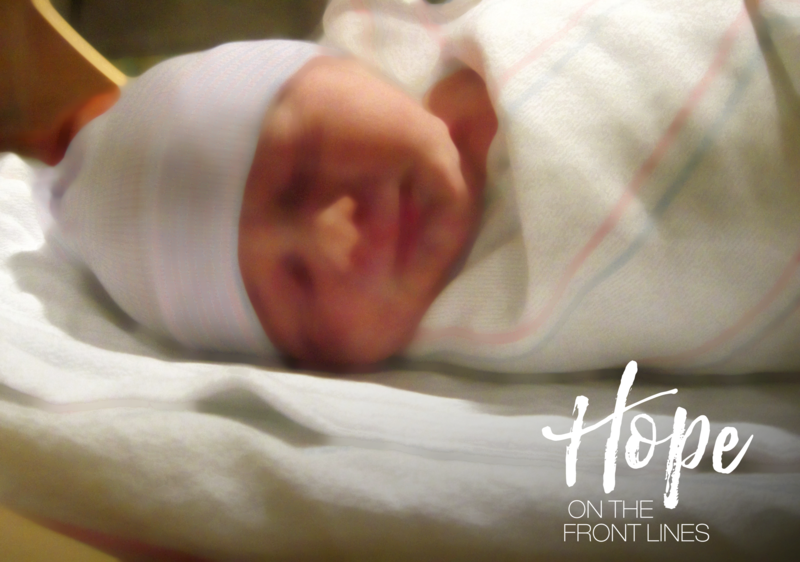 Hope on the Front Lines: Concord Hospital from New Hampshire Public Radio on Vimeo. Alice Kinsler, the hospital’s therapeutic arts director, says they’re able to actually see how music and scents help. Still, these soothing techniques are only complementary to the babies’ medical needs. Barbara Pascoe, the Family Place director, says it’s during this critical time when nurses offer support and guidance to mothers, some of whom are still using illicit drugs. Many of the mothers go into treatment prior to birth, but maintenance drugs like methadone can still lead to NAS. In the best-case scenarios, Tena Ferenczhalmy says, the hospital’s treatment begins prior to birth with pre-admission meetings. And developmentally, outcomes for NAS babies are positive, though they’re all referred for early intervention services as a precaution. Ferenczhalmy says babies treated with morphine aren’t at a higher risk for drug abuse later in the life, something parents are often worried about. But mostly, she says the hospital works to get rid of the stigma for these families. Pam Tyrrell is a certified music practitioner at Concord Hospital. She performs for babies going through withdrawal after being exposed to opioids in the womb. Back at the Family Place, I talk with Pascoe about how complicated many of these family situations can be. "Have you seen circumstances where there is multiple members of a family in addiction?" And that’s why the hospital keeps the care going for the mothers after they’re discharged, offering lactation courses and a post-partum emotional support program. On a Saturday afternoon at the fire department, a handful of people are learning how to use the now widely available overdose-reversal drug Narcan. It’s one thing to get it into the hands of those who may need it, but it’s another to know how to use it properly. What it Takes to Overcome Addiction in N.H.
We kick off the Morning Edition series, Hope on the Front Lines, examining the many efforts around the state helping people overcome addiction. 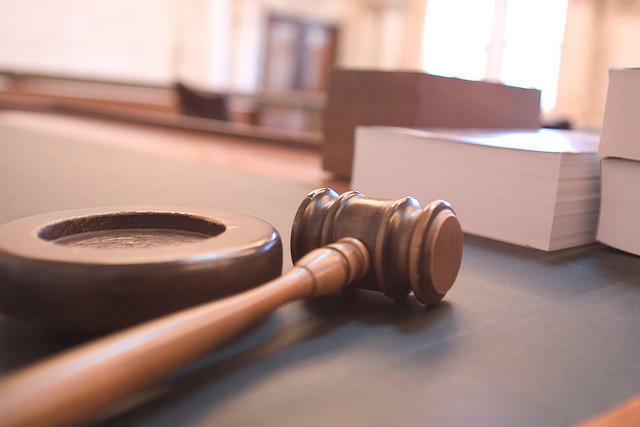 We'll look at the array of approaches available in the state including new medicines that curb drug cravings as well as others that revive overdose victims. Recovery coaches, counselors and doctors are also involved on the the long road to full recovery. 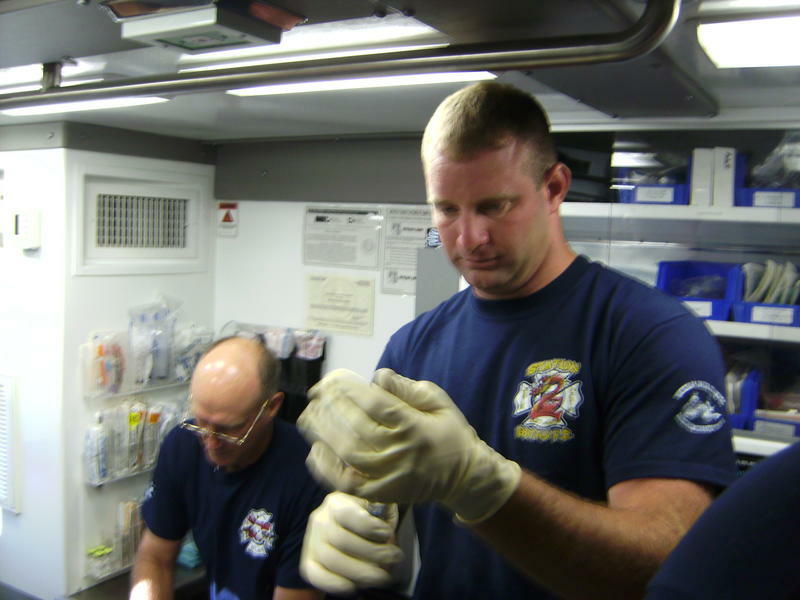 Primer: How Does Narcan Work? As part of our series Hope on the Front Lines, Morning Edition host Rick Ganley and producer Michael Brindley attended a training in Keene for people interested in learning life-saving skills, including how to administer Narcan, the drug used by first responders to counteract opioid overdose. But what is Narcan, and how does it work? Narcan is the brand name for the drug naloxone, which blocks the effects of opioids and reverses overdose. The drug crisis is taking a toll on New Hampshire’s families, as more and more parents accused of abuse or neglect are dealing with addiction issues.